The internal crisis rocking the Ekiti State chapter of he Peoples Democratic Party (PDP) is taking a new twist as the party leadership has threatened to wield a big stick on the splinter group. The party’s Elders Forum and Local Government party chairmen at a joint press conference on declared as illegal the purported removal of Chief Idowu Faleye as the State chairman of the party and warned Mr Tunde Olatunde from parading himself as the factional chairman of the party. 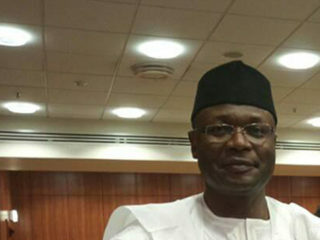 The warning came just as the National Working Committee (NWC) of the party expressly stated that Faleye remains chairman of the party and had summoned all warring factions to a meeting in Abuja. A statement signed by the Acting National Chairman of the party, Prince Uche Secondus said, “The NWC deliberated on the state of the party in Ekiti State and resolved that it only recognizes the state Exco led by Chief Idowu Faleye. The NWC, however summons all critical stakeholders in the party administration in Ekiti State to a meeting with the national leadership on the issues in the state chapter”. Chairman of the Elders Forum, Chief Clement Awoyelu said the elders had earlier held a meeting with the two warring factions, where Olatunde’s group was assured that all their grievances, which bordered on emergence of Faleye, among other issues, shall be resolved amicably. 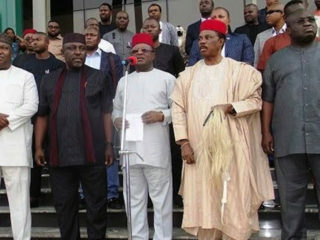 Awoyelu, who read the communiqué through the former State Chairman of the party, Chief Bola Olu-Ojo said: “We viewed Tunde Olatunde and Tope Aluko, the State Secretary actions and their group as an affront to the party’s authority, very treacherous and barbaric, suggesting that they are being financed by the APC and other external forces purposely to destabilize our party”. “The party will apply all necessary actions against them very soon because we want a united and disciplined party in Ekiti State. We have mandated Chief Idowu Faleye to call the meeting of the SEC to take necessary actions against the members of the factional group. “We also affirm that the only Executive Committee known to us and the numerous members of the PDP is Idowu Faleye-led Exco”. But Olatunde at a press conference in Ado Ekiti last has denied being used to destabilize the party, saying what they were fighting for was to ensure equity and justice in the party. Awoyelu has however described as unfortunate, the turning down of the elders’ entreaties by Olatunde’s faction in a bid to broker peace and resolve the crisis. He maintained that the State Working Committee lacks the constitutional powers to suspend a state Chairman, saying only the State Executive Committee can exercise such powers, after taking directive from the National Working Committee. 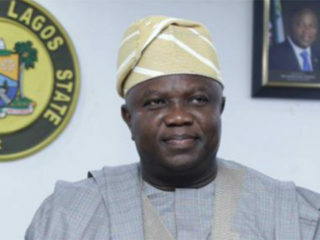 On the eviction order issued to the party by owner of its secretariat and former Chairman of the Party, Chief Ropo Adesanya, who had defected to APC, the party leaders said the inability to pay was caused by change of signatories. Insisting that the cheque issued to the owner for the payment of one-year rent was forged, the leaders maintained that the cheque, which the owner described as ‘dud’ was issued by unauthorized Exco members, making the bank to reject same upon presentation. 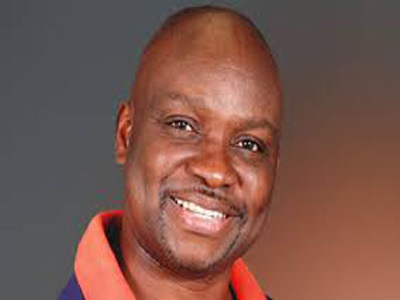 The party lauded Governor Ayodele Fayose’s leadership style in the State, particularly his prompt payment of workers’ salaries and the victory recorded in the last general elections by candidates of the party. The elders also harped on free and fair primaries in elections of candidates for the forthcoming Local Government elections, as proposed by the State government. They said the party would soon come up with modalities through which all party candidates would emerge, warning that the party won’t tolerate any form of imposition that could tear the party apart. 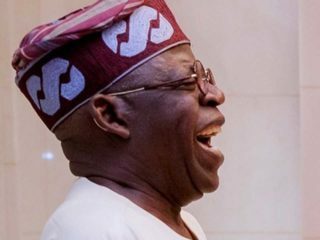 Former Acting Governor Tunji Odeyemi, who lent his voice, said the Olatunde’s faction erred in law by not carrying Fayose, the leader of the party along before carrying out the Faleye’s suspension. Harmer house of horror.. Ile ti a fi ito mo iri ni o wo.